This was worth the money I spent. It's full of down, but it's not too hot, which is what I was wanting. I ordered a size up (king size for a queen bed) so that no one is left without blankets, and I'm very happy with my overall choice! The finish is a bit sateen, which is fine with me because I cover in a duvet. Add luxurious comfort to your bed with this European Heritage Krakow oversize comforter. 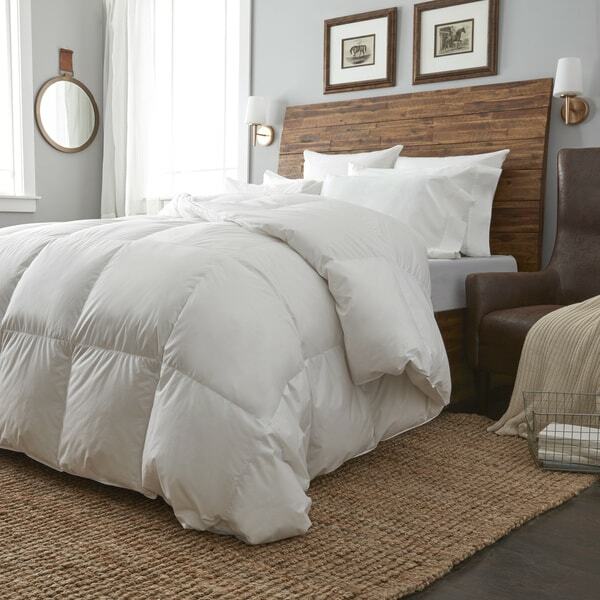 This comforter features a soft cotton sateen shell with high-quality 700 fill power white goose down fill to keep you warm and comfortable. The comforter is machine washable for easy cleaning. "Is this a baffled that really works. Or is it just stitching since it doesn’t say that it’s baffle"